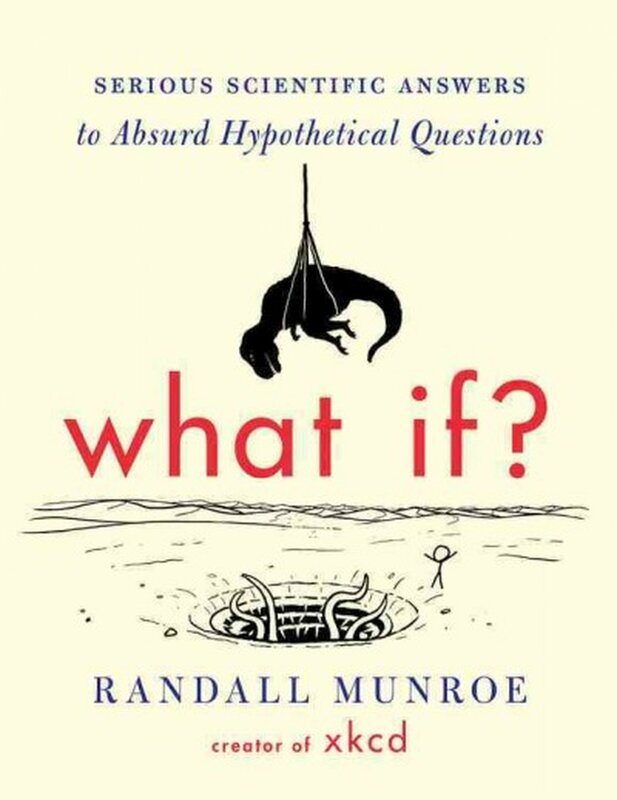 Randall Munroe’s bestselling book, What If? answers many absurd hypothetical questions with serious scientific answers. However, there are a number of questions that Randall refuses to answer and prints solely for entertainment value. These are the questions that are too disturbing or too ridiculous, by his standards, to justify an answer. Well, I guess I’ve got a higher tolerance than Randall because I’m going to answer them. I don’t know if I’ll be able to manage all of them, but I’m going to try. And sadly, I don’t have funny stick figure drawings to liven things up, but I think the questions are interesting nonetheless. So without further ado, here is the first What If? reject. Q: Would it be possible to get your teeth to such a cold temperature that they would shatter upon drinking a hot cup of coffee? I’ve only very rarely had teeth-related nightmares, and I don’t drink very much coffee, so I guess this question isn’t as much nightmare fuel for me as it is for Randall, and it actually raises an interesting question in materials science. How large and/or how fast of a temperature change does it take to shatter a hard material? Glass can shatter when it’s rapidly heated (or cooled) because of something called thermal shock. Most solids expand slightly when they’re heated, and when this heating is very fast, some parts of the solid expand faster than others—either one end before the other, or the outside before the inside. This uneven expansion causes the glass to bend, and if it bends farther than the material can stand, it breaks. The same applies to practically any solid with a crystalline structure, including teeth. Tooth enamel is 96% hydroxylapatite. The rest of the tooth has a lot of it, but the higher fraction of water and organic molecules make it less prone to cracking. The fine points of thermal shock are solid state physics, which is complicated and not my field, but we can estimate the temperature change needed to shatter hydroxylapatite from some basic properties of the material. According to this paper, the thermal expansion coefficient of teeth is about 1.7*10^-5/K. That means the a change in temperature of one kelvin (degree Celsius) will cause it to change in length by 0.0017%. From this paper, we find that the shear modulus of hydroxylapatite is about 50 gigapascals (GPa). This means that a rod of hydroxylapatite will bend by an amount equal to its length under a force of 50 GPa (7.4 million psi) over its cross section. Or, in more practical terms, it will bend by 0.1% of its length under a force of 50 Mpa (7,400 psi) over its cross section. This source suggests a lower value of about 30 GPa. And from here, we learn that human teeth have a shear strength of 32-46 MPa, depending on the tooth. That means that can take between 4,600 and 6,600 psi before they break. To find out how far teeth will bend before they break, divide the shear strength by the shear modulus. There’s a lot of uncertainty in these numbers, but 0.1% is probably a pretty good estimate, certainly within a factor of two. We know from the coefficient of thermal expansion that teeth will expand or contract by 0.0017% per degree Celsius. If there is a temperature difference between one end of a tooth and the other, the tooth will bend by that amount. The critical temperature difference is 0.1%/0.0017% = 59 degrees Celsius. Hmm…courts have ruled that coffee should not be served at temperatures as high as 82-88 degrees Celsius. However temperatures of 71-85 degrees Celsius remain common. This suggests that if you could cool your teeth to 24 degrees Celsius (75 Fahrenheit) and take a sip of coffee, you might be in danger. That sounds fairly easy to do with a glass of ice water, and yet teeth shattered by thermal shock is not a major health problem (that I know of). What’s going on here? There are several problems with this admittedly crude estimate. First, only part of a tooth is made of enamel. Much of the material is dentin, which contains less hydroxylapatite, and is about seven times softer, according to this paper. Because it is seven or so times softer, but has similar strength, the maximum amount that it can bend is seven times greater, and the temperature change we need is also seven times greater, or about 420 degrees Celsius. Your teeth would need to be cooled below absolute zero for thermal shock alone to damage the dentin. That means your whole tooth is not going to shatter. But it could still chip the enamel, you may say. This is true, but there is another factor to consider. There has to be a temperature difference of 59 degrees Celsius over the length of the tooth. That’s a pretty big difference over a short distance in an environment that pretty aggressively tries to maintain itself at a constant temperature—namely, your mouth. You would have to do something to slow or stop that mechanism. So, to reiterate, if you could chill a human tooth to room temperature and then expose it to hot coffee in such a way that one corner of it was momentarily heated to near the boiling point of water and the other corner was still cold, it might be enough to crack the enamel. But how would you do that? I’m not a dentist, but I doubt you could do it without cutting off the blood flow through the pulp of the tooth, since blood tends to be at a pretty constant temperature. And then, there’s heat conduction from the gums and bone to worry about. In fact, you’d probably have to cool your entire jaw to room temperature, which gets into some hypothermia issues. And the way you would have to drink the coffee, if it would work at all, might well cause severe burns to your mouth. So with the right combination of ice and hot coffee, it might be theoretically possible to crack your teeth—not shatter them, but if you did, they would be the least of your injuries. Of course, you could just ask the Internet directly. Considering this is basically a Fermi problem, that’s disturbingly close to my answer. This entry was posted in Medicine, Reading, Science and tagged randall munroe, teeth, thermal shock, what if?, what if? rejects. Bookmark the permalink.